Connect the 2TB DIVAR Network 3000 32-Channel 16 PoE NVR from Bosch to a maximum of 32 IP cameras that use H265/H264 high-resolution video compression. Menu selections and operator commands include simultaneous remote and local monitoring, recording, archive, and playback functions. 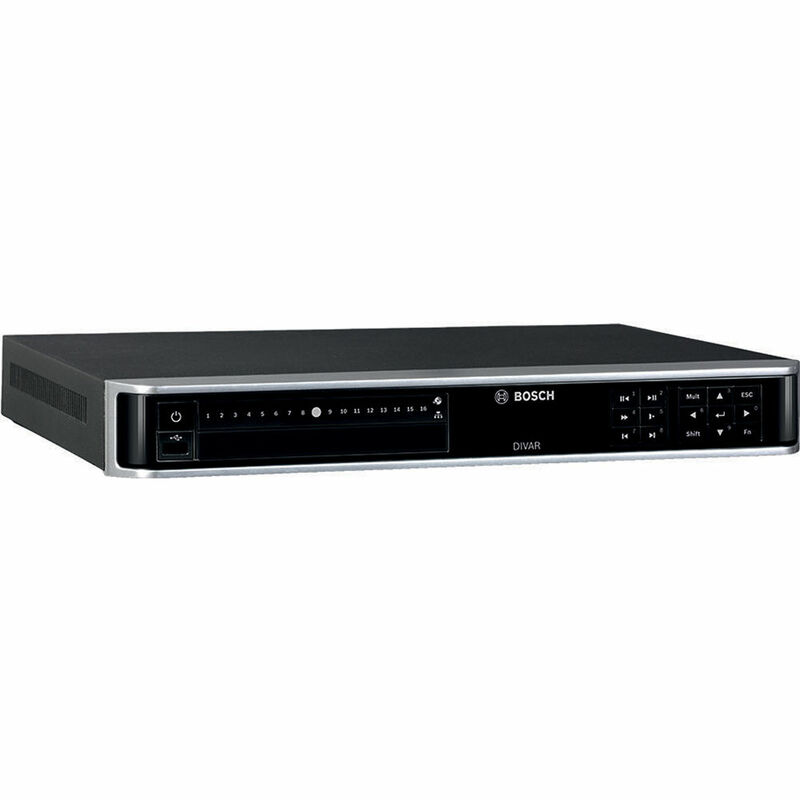 This compact and sturdy device provides 12MP IP camera support for viewing and playback. It gives real-time live display for 16 channels at 1080p or 4 channels at 4k.